Charlie Clark Nissan Brownsville provides Nissan vehicles and service to car shoppers and owners in Brownsville and the surrounding area. Since our founding in 2012, we have been providing an extensive selection of Nissan models. Our inventory is stocked with all of the top models from the Nissan lineup. We carry popular cars and crossovers like the Nissan Sentra, Altima and Rogue. 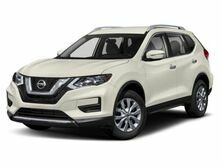 In addition to out inventory of new vehicles, Charlie Clark Nissan Brownsville offers a pre-owned inventory of cars, trucks, crossovers and vans from Nissan and multiple other brands. Charlie Clark Nissan Brownsville also provides top-notch service to Brownsville Nissan owners. Our service center provides a variety of services and can help keep your car in the best condition possible. If you purchased your new Nissan from Charlie Clark Nissan Brownsville, ask about our lifetime free oil changes. If you live near Brownsville, Port Isabel, Los Fresnos or the surrounding area, stop by Charlie Clark Nissan Brownsville to learn more about the vehicles and services we have to offer.